In the last two years, hospitality architect and interior design practice Dexter Moren Associates, has almost doubled its workforce, growing from 40 to 75 people. 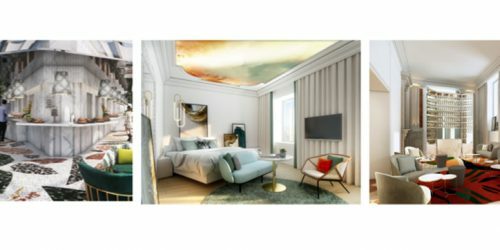 High profile commissions include the first UK Westin and the luxury boutique Vintry & Mercer Hotel in the City of London, as well as projects in St. Lucia, and various locations across Africa and Europe. DMA’s growing interior design team has been instrumental in winning new clients, such as Hotel du Vin, and helping the practice diversify into related markets including build-for-rent, serviced apartments, retirement living and co-working / co-living. The team benefits from a varied skill and knowledge base with a strong ethos of collaboration. Designers are supported by a mentoring system and the establishment of clear career goals. The design philosophy at DMA is to create original and unique designs specific to the requirements of each individual project. Rather than blindly following trends or a rigid house style, the team takes design inspiration from a building’s context and local neighbourhood to create spaces with longevity that are authentic, and above all have character. Can Faik talked to Associate Directors Lindsey Bean-Pearce and Neil Andrew to find out more. What excites you about the hospitality sector? LBP: I’ve been lucky enough to work in all sectors of interior design, but have never found any of the others as challenging and rewarding as hospitality. With hotels, we don’t just create the space, we design the entire experience. I find the first stages of design incredibly satisfying where we take the initial drawings from planning and set the narrative, optimising the spatial layouts and designing in the experience. This is where the vision really comes to life for me. 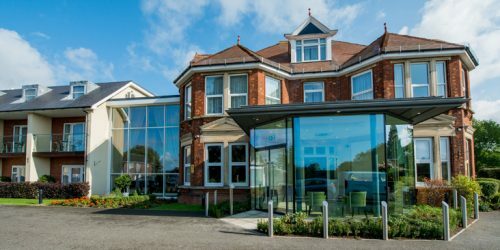 I also like the discipline of having to think commercially – when you’re building a hotel with over 150 rooms it really does become a mathematical and creative challenge to deliver your scheme to cost. NA: In design we’re often conveying a story. Unlike residential spaces, hospitality design requires us to present that to the end users in quite a short amount of time which means you tend to create a dialed-up version of the story you’re trying to convey. Hanging out in bars and restaurants is a favourite pastime of mine, and I enjoy being able to create spaces for others to enjoy, the level of detail you can go into leads to endless possibilities as you need to consider every element such as branding, music, uniforms and menus. What is the best bit about your job? What drives you? LBP: The best bit, definitely seeing a project from inception to completion, but that can take years, so I would say the very first stages when the whole team is engrossed in creating the narrative and developing the design. The final stages are exhilarating and stressful, seeing all of those months and years of hard work pulled together and complete. Design isn’t for the faint hearted it’s not a constant steady stream, it’s up and down like a rollercoaster and you have to be able to balance it out to make it work. Within the team it is incredibly humbling to watch designers that you have mentored over time, flourish into stand out designers who create amazing spaces and manage a small team and client relationships. NA: Sharing the satisfaction of seeing schemes built with team members and clients. Also, mentoring younger designers and watching them grow. Where does your design inspiration come from and how do you translate this into a commercial scheme? LBP: Inspiration comes in so many forms consciously or otherwise, as designers we are often called dreamers, which I find funny as quite often my best ideas come when I’m asleep! I look for inspiration in everything and explore many avenues, I avidly research new project sites and locations to try and find that one nugget of interest that can become the cornerstone to the entire design. NA: Everywhere and nowhere. Whilst studying I undertook a brief stint of door-to-door selling. I wasn’t very good but it taught me the importance of a simplistic and honest approach in selling an item, be it a vacuum cleaner or a design concept. Once you get to the core of your concept the medium in which to sell it reveals itself – it’s quite simple, sometimes it just takes longer. Commercially speaking you then just have to be careful with how you allocate the budget. LBP: A 145-key hotel that links three buildings together and is located adjacent to St. Paul’s Cathedral, a new HQ for one of our longstanding clients, Dominvs and our new office extension – necessary thanks to the rapid expansion of DMA over the past couple of years. We’re also collaborating on the design of a new brand of hotel, which is exciting because of the breadth of thought and application required, not just interior design but an over-arching examination of all components of the hotel experience. Other projects finished or nearing completion include New Drum Street (Indigo Aldgate) which has been an absolute joy to work on, it’s taken three years but we have a phenomenal client who has supported all of our ideas, no matter how unorthodox. The much anticipated Vintry & Mercer also opens this year, it has been receiving a fair amount of publicity which makes us very proud. NA: Recently we’ve been working closely with two major hotel brands to refresh their prototypes, one of which was the reworking of the public areas for Sheraton that they recently launched in New York. I’m heading up the design team for Westin City of London which is a more modern and minimal interpretation of the brand, as well as two new look Hotel du Vin projects in Stratford-upon-Avon and Bristol. In addition to those I’m also working on an iconic hotel refurbishment project in Brighton and two projects in Dubai. LBP: I have a few, my main ones are: Form follows function. The space must prevail in functionality, ergonomics must be at the forefront of the design, and the aesthetics must honour this. The devil is in the detail. It will not be a beautiful space if you have not considered how the floor finishes will junction or whether the shower valve aligns with the grout lines in the tiling. NA: My personal ethos is, and always will be, “less is more” ie one big idea per space and everything else complements that – like a good trumpet solo playing around the head in a jazz song. What are the current trends in interiors? LBP: The main trend in hotels is the emphasis on creating unique experiences that are tied to its locality. Placemaking is pivotal to a successful hotel. All brands have seen this shift and want to ensure the hotel engages the guest by embedding itself in the local environment. The once austere under used hotel lobby has become the place to socialise and do business, and not just for guests but also local residents. Aesthetics wise, we are seeing a resurgence in more neutral schemes with a spotlight on craft in the form of weaving; cane, wicker, rattan, bamboo which can be seen in furniture and joinery. The fifth wall has also come full circle, I’ve long been a fan of painting or wall papering the ceiling to add an extra dimension to a space, this will become an even bigger focus as we see more emphasis on the ceiling, with tiling, bricks, vaulted and arched ceilings taking centre stage. NA: I hope that we’ll see the fascination with following interior design trends disappear. A growing trend, and one that interests me greatly is the introduction of wellness into hospitality spaces and the holistic approach to create an experience – focusing on all elements that go into that, not just the interior design scheme. I’m also seeing a more collaborative working method between clients and consultants driven by independent owners moving into the hospitality sector. I find that very interesting as it results in more individual hotels with a personal approach – it’s like you’re staying in their home, and as a guest it feels much less transactional. You co-run the DMA interiors team. How do you share the workload? LBP: I think it’s incredibly important to like what you do and who you work with, and to also never stop learning. Neil and I challenge each other to be better designers and managers, we have a great dialogue and working relationship and I think this strengthens our team and work. NA: We handle all design and management tasks equally, but approach them in slightly different ways which is where I believe our strength lies. Lindsey and I have both worked in every sector of interior design at varying price-points and so the sum of our experience is a great advantage. What is the advantage for clients of having architecture and interior design under one roof? LBP: The advantage to this early collaboration lies in the ability to combine forces far sooner. This leads to optimised layouts and the smoother adoption of an encompassing ‘big’ idea – that united and shared vision that ensures a comprehensive approach to how the design is delivered. NA: Architectural space-planning is at the core of what we do and we always review that in full when taking on an interiors project, often proposing significant changes and improvements. Similarly there are many interior designs out there that photograph well but don’t function in reality. We provide the ‘wow’ but don’t forget the practical. If we are undertaking the architecture and interiors of a project then there are obvious benefits and opportunities to streamline the design process for a client.